BG252 How to shape an e-marketing strategy? Why you should use Taxco's services? By going ‘Beyond Accounting’, Pastel is able to offer you an innovative and flexible Excel-based financial reporting software tool for small, medium and large enterprises (SME’s). The Pastel Business Intelligence Centre dynamically links to Microsoft Excel – and as long as the information is stored in an accessible database, you can access sales, financials, inventory and purchasing reporting. Users can help themselves, with only Excel skills as a requirement. The module ships with a variety of useful management reports, including Monthly Management Pack (including income statement and balance sheet), Sales, Inventory, Purchasing, and other insightful reports. Creating your own reports in Excel has been made easy! After your traditional export you usually spend time formatting the report, but there’s no easy way to save this format and link it to the export for future use. The result is that you find yourself formatting after each report. The Business Intelligence Centre saves these steps for you – so each time, you just run the report and it’s automatically updated with your latest data in the correct format. Skilled IT personnel will be required to deliver the potential that the Advanced version offers. Pastel Business Intelligence Advanced Edition ships with an additional tool called the Administrator. This provides the user with the ability to report on any ODBC compliant database. With the Advanced Edition you can use additional functionality to achieve consolidations, batch reporting, scheduled reporting and much more. 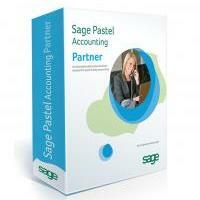 The Pastel Business Intelligence Centre is available as an add-on module with Pastel Xpress, Partner and Evolution. Users have access to a free 90 day trial period from date of installation. All content copyright © Taxco Trust 2019.